Is your class giving birth to Egg Babies?? I have a full Egg Baby Unit that can help guide you and your students through this awesome project. 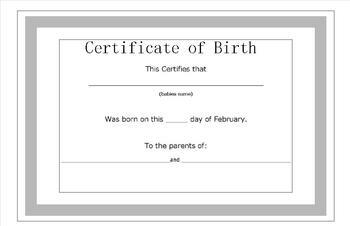 There is also a Back to this document that can be printed to complete the certificate.